Tamar Valley Farmgate Festival returns for a second year with the aim to connect people with locally produced food. The 2nd annual Farmgate Festival will be held on November 24-25 at various locations along the West Tamar region. Patrons will visit a number of diverse farms and be taken on guided tours by enthusiastic farm operators. The aim of the festival is to educate people on how real food is produced and highlight the Tamar Valley region. Five new farms have come onboard as part of this year’s festival, joining eleven farms which participated in the inaugural year of the festival. Farms offer a wide range of experiences from tours encompassing production and processing techniques, product tastings, animal encounters and farmgate sales. Tours vary in length and occurrence with patrons able to plan their chosen tours and take in the experiences that interest them. One and two day festival passes are available while some farm tours will be prebooked. New inductions to the festival for 2018 include vineyard’s Waterton Hall Wines and Winter Brook Vineyard, mixed operations Yimarra Farm, Tamar Valley Pastured Eggs and Lavendar House – The Perfumery. 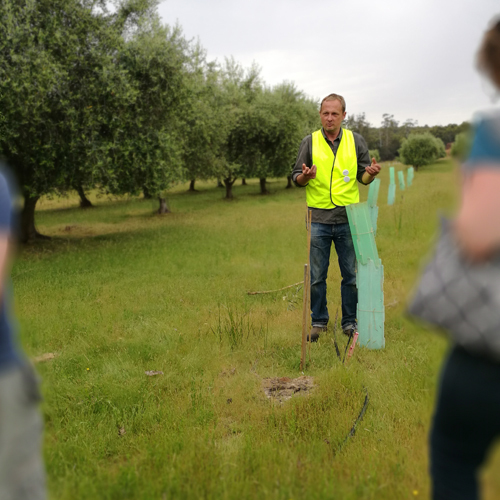 Returning farms include Brady’s Lookout Cider, Tamar Valley Hazelnuts, Muddy Creek Apples, Langdale Farm, Bridgenorth Berries, Grey Sands Vineyard, Lentara Grove, Honey Tasmania – The Beehive and Village Olive Grove. Mark Saunders from Yimarra Farm, said he is looking forward to sharing how the small 14 acre farm operates with Farm Gate customers. A highlight of the festival will be the two exclusive gourmet dinners featuring food produced in the Tamar Valley region. These will be take place at Timbre Kitchen and Strahlynn with tickets available here.